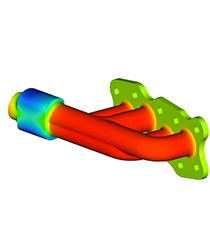 This teaching package is all about thermal analysis (with OptiStruct), i.e. what kind of solver settings are required to run a thermal analysis. Students attending the course should have basic knowledge of the following programs: HyperMesh (solely used to define the solver settings), OptiStruct (for analysis), and HyperView for post-processing. 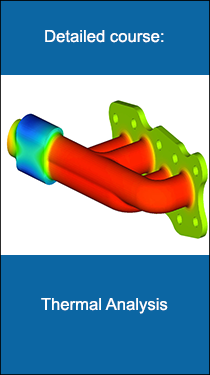 The duration of this course may vary between a few hours (illustration of the Finite Element Analysis workflow) up to 40 hours or more – strongly depending on the number of exercises, homework assignments (Capstone Projects), presentations and discussions of results and so on.